Cigar Aficionado's cigar of the year 2008. What do you get when you combine the efforts of two of this industry’s greats? The cigar of the year! 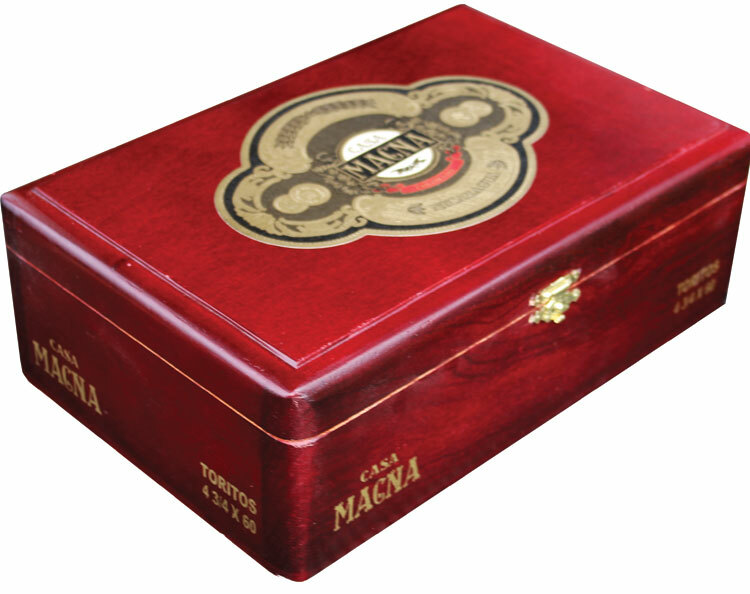 Cigar Aficionado rated the Casa Magna Robusto Best Cigar of 2008. Long time manufacturers Manuel Quesada & Nestor Plascencia combined efforts to create this masterful full yet balanced Nicaraguan puro. Wrapped in only the finest special Cuban seed Colorado wrapper, these cigars are as pleasant to the eye as to the palate. Surely to please, without the extra burden to your wallet, these super premium babies are priced just right!